Now in its second year, the Google Mentoring the Arts team have developed a scheme which delivers education and up-skilling in online tools and advertising. They worked with Arts Audiences on a two-phase process beginning with mentoring five arts organisations and then briefing 70 participants on the use of Google products in new media planning and implementation. This year the team is working with Galway Arts Festival, the Chester Beatty Library, Riverbank Arts Centre and Garter Lane Arts Centre. Laura O’Brien takes a look at Arts Audiences’ new media scheme, where Google volunteers mentored selected arts organisations on their online strategy. An online strategy has become essential for any organisation trying to attract audiences. However, the fast-paced nature of technology has made it difficult to fully take advantage of what the web can offer. 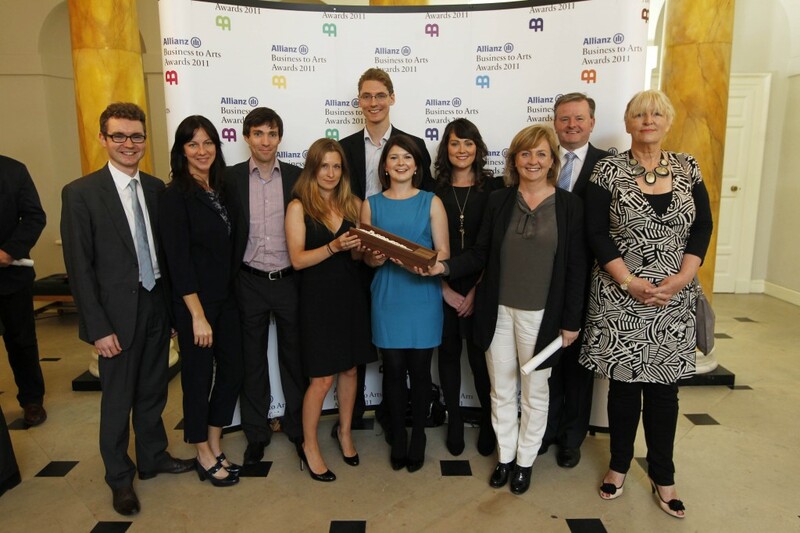 A mentoring programme designed in partnership with Google Ireland for arts organisations to earn about how to utilise these new tools was the winner of the Best Use of Creativity in the Workplace category at the Allianz Business to Arts Awards. This new media scheme was created by Arts Audiences, which is a partnership initiative of the Arts Council and Temple Bar Cultural Trust. Implemented in 2010, it offered a mentoring scheme led by Google employees in their spare time to help arts organisations build relationships with their audiences online. “One of the things that we’ve concentrated on in Arts Audiences is with new media and marketing, partly in response to what arts organisations tell us,” said Una Carmody, director of Arts Audiences. “This is one of the places that they feel they need support and help with but also, in a lot of sectors, it’s a very fast moving environment and it’s something that people need to keep a close eye on,” she said. Organisations submitted details of the projects they needed this mentoring for so that the scheme could cater for their business needs. The chosen organisations were then mentored on subjects such as social media strategy, search engine optimisation, online community building and using new media to drive sales. Four organisations took part in the scheme in the first year – Balor Arts Festival, The Gate Theatre, Eigse Carlow Arts Festival and The Dock Arts Centre. “We work with the selected organisations helping them to identify defined objectives and goals for their online strategy,” said Marie Davis, an Adwords account manager at Google. “What we found was many of the organisations were aware that the internet provided them with new and cost effective ways of reaching audiences but did not always have a defined strategy which was linked to their overall business objectives,” she said. After the completion of the project, each group was required to write a report on the scheme, which is published on the Arts Audiences website so that the knowledge is passed on. Google then took the knowledge gained from this to a workshop in February which was attended by almost 60 representatives from numerous cultural organisations. The scheme was a success, with each group benefiting greatly from the initiative. “The Gate Theatre, for example, saw a 16pc increase in visits to its website following the introduction of an Adwords campaign and since implementing changes to its website,” said Davis. This year, Google volunteers will work with 4 different arts organisations on their online strategy, which include the Galway Arts Festival, the Chester Beatty Library, Garter Lane Arts Centre and Riverbank Arts Centre.